Doug Deming & Jewel Tones with Dennis Gruenling will play Leftwood's. The blues is more than just flattened notes, calls and responses, and the groove. "Blues isn't even about music, really," said harmonica player Dennis Gruenling. "It's the feeling and experience, really. ... It's a way of playing, a way of expressing yourself." Gruenling should know. 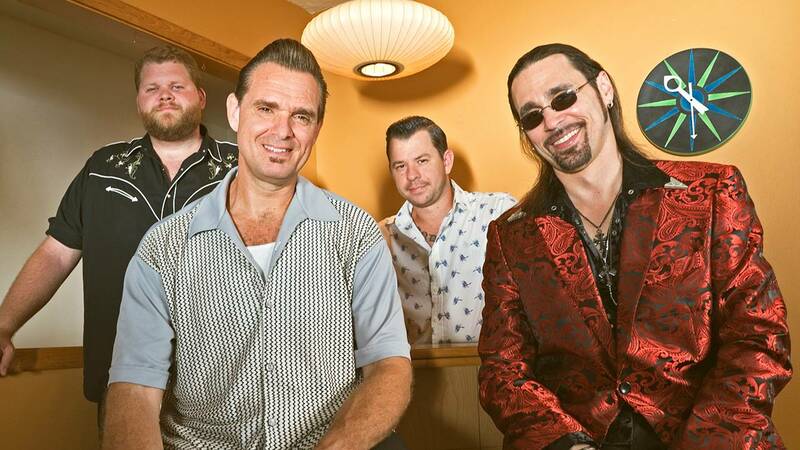 A lifelong music fan, Gruenling got turned onto the harmonica and the blues as a young man, eventually studying in New Orleans and with East Coast and Chicago bluesmen before forming his own band in 1998. Nowadays, he's touring with with Doug Deming & The Jewel Tones and celebrating the release of his latest album, Ready or Not. The tour includes a stop in Amarillo for a 9 p.m. Tuesday show with The Texas Blues Rangers at Leftwood's, 2511 S.W. Sixth Ave. Cover is $5. As a kid, Gruenling said he was drawn more to rock 'n' roll. "I didn't know I was attracted to the blues til I was turned onto it," Gruenling said. "I got a harmonica, and it just felt kind of natural." It still is, he said. "The tension that you create and resolve (in the blues) — life does the same thing to you," Gruenling said. "I think that's why some people are attracted to it. "It's about things that go on in life, about our experiences. Nobody's got a life where everything's great, even if it's just the little things," he continued. "And the blues aren't always just sad either. They can be happy. But definitely, if you have lived through something, it does come out in the song."